Situated at Stanley on Tasmania's North West coast, Stanley Seaview Inn has accommodation to suit most guests, be they a family or honeymooners, including self-contained apartments. Being just out of town the location is quiet and being on a hillside leads to great views. 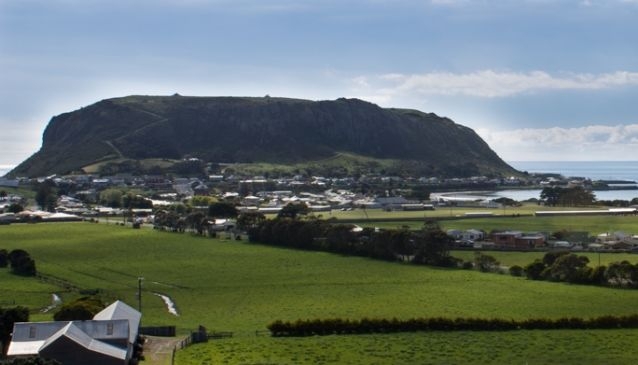 Beautiful views are available from most rooms with the vista taking in the township of Stanley, the ocean and the amazing volcanic rock plug known as The Nut. Stanley Seaview Inn has 24 rooms in total, catering for one to six guests. Some have verandahs or balconies, single spas or corner spas. Four self-contained units are available, sleeping up to six guests. Look on their website for special deals which are often available. The owners/managers live on-site and will do all they can to make your stay a pleasant one. Stanley Seaview Inn's sister property Horizon Deluxe Apartments can be viewed here.